Hi guys, for this post I have a new tape mani to show you. It's a doubled crosspattern which creates a preppy plaid-pattern. The colors I used are Catrice London's Weather Forecast and a classic red creme, also from Catrice from the discontinued Nail Couture collection. I absolutely love the preppiness of this look. You can go for a bold look with combining two bright, contrasting colors, or create something more sophisticated with different shades of greys or taupes. For this pattern I've used four thin tape strips on each nail. If you want to recreate this look, try to keep your tape strips as even as possible for a tidy result. And when placing the strips, start with the first two in the same direction, and the second two in the other. Because of this it's easy to remember the order in which you've placed them which is useful for the removal afterwards. One last tip: don't make your strips too short or you won't have anything to grab on when removing them, about 1 inch/2,5 cm is fine. And if you've never worked with tape before it might be useful to take a look at my tutorial first, click here to see it. Loving this look. one question, which is your base colour? That looks great! 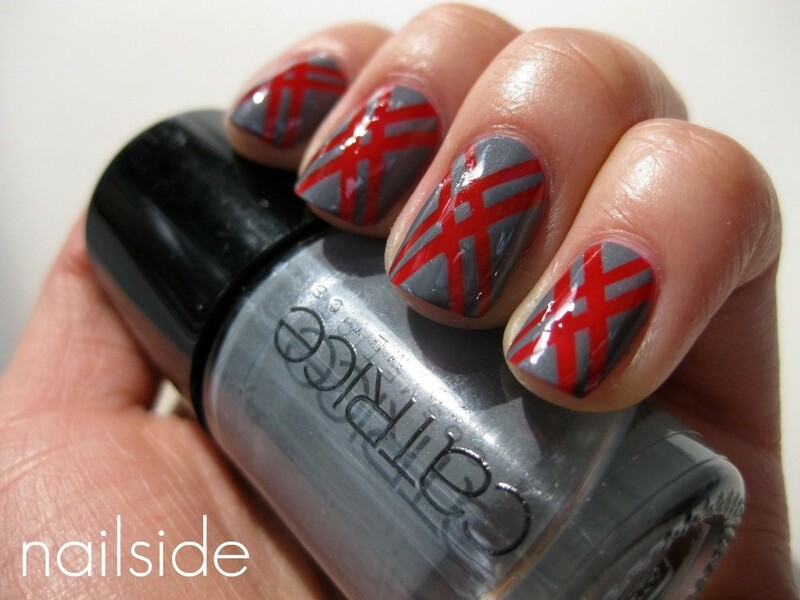 I had never thought of using tape for a plaid mani, for some reason. Looks amazing! You did a great combination. I was looking at your blog, this is so great, as well as many of your other ideas. I love the creativity!